BOSTON--(BUSINESS WIRE)--Tour24, an on-demand platform that automates the process for apartment tours, today announced its smart touring application is now available for deployment in the U.S. market to simplify the leasing process for prospective renters and multifamily property managers. By downloading the app, renters can schedule a self-guided tour based on their availability and visit the property at their convenience. 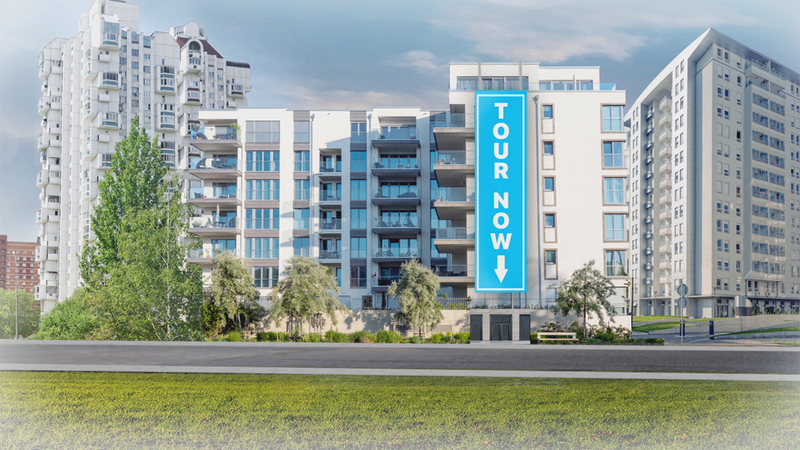 Tour24’s first-to-market platform is currently installed at properties in Austin, TX and Washington, DC, including South Cathedral Mansions, a 165-unit luxury apartment community owned and operated by Oculus Realty in the Woodley Park neighborhood of Washington, DC. According to Zogby Analytics, 30 percent of prospective renters visited a leasing office during normal working hours and discovered it was closed. When it came to scheduling an appointment, 40 percent of renters could not find a time to tour a community when a leasing agent was available, and therefore passed on the apartment. The Tour24 app allows leasing agents to extend their traditional office hours, using the platform to supplement their team, to offer more convenient appointment times for prospective renters either during the day or after hours. Prior to and during the tours, property managers are provided with activity reports, real-time feedback from prospective renters on amenities and location-based data on time spent at each location of the tour. In addition to adding flexibility, Tour24 helps leasing agents better pre-qualify leads and close the leasing process faster. Tour24 is the on-demand platform that automates the process for apartment tours. Created by the founders of Package Concierge, a Gibraltar Industries Inc. company that creates leading automated package locker systems, Tour24’s transformative technology integrates with smart-home providers to deliver self-guided property tours and serve as an extension to leasing teams. With Tour24, prospective residents can tour apartments on their own schedule, reducing the time it takes to find a new home and driving more leases for properties. For more information, please visit https://tour24now.com. Follow us on Twitter @Tour24now.